❚ CONFUSINGLY FOR ROXY MUSIC FANS a UK tour 2013 has been announced under the title of An Evening With Bryan Ferry, pretty much simultaneously with the release of The Jazz Age, an album played by the newly convened Bryan Ferry Orchestra. Familiar tunes include Virginia Plain and Do the Strand among 13 tracks which are all rendered as instrumentals only. It celebrates Ferry’s four decades as an icon of the music scene … Scott Fitzgerald described the sound of the Gatsby era as “yellow cocktail music” and, 80 years on, Ferry reimagines his best known songs performed by a swing orchestra from the Roaring Twenties. Vintage microphones and a bass sax in place of a double bass conspire to create an authentic sound, but without one breath of Ferry’s voice. “I am the Diaghilev figure, directing not playing,” he says. Whether next autumn’s 21-date tour will feature any vocals – or even require his presence on stage – is as yet unknown! 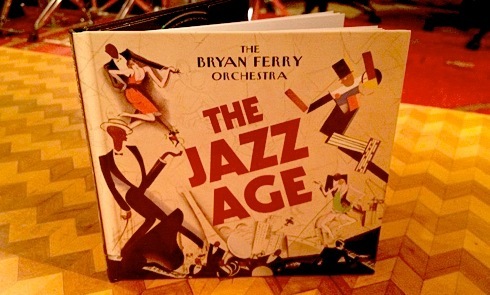 This entry was posted in Culture, London, Pop music and tagged album, Bryan Ferry Orchestra, CD, dates, Jazz Age, Soundcloud, UK tour. Bookmark the permalink.